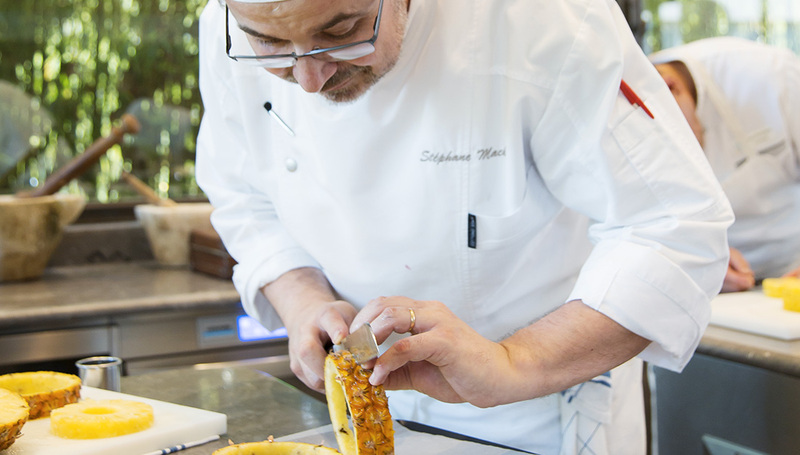 On the cooking side, practical culinary skills are taught by Stéphane Mack, one of the top chefs from Michel Guérard’s Michelin-starred restaurant, who holds various responsibilities, including top-of-the-range catering for special events, training chefs, creating and introducing menus. His multidisciplinary experience gives him special expertise in choosing produce, cost constraints, working methods both in traditional and mass catering. The pastry-making course is taken by Sébastien Perbost, the Pastry Chef of Michel Guérard’s Michelin-starred restaurant since 2007. An experienced teacher, he is a master in sweeteners and substitution techniques particular to the Health Pastry® he produces every day. The theoretical side is taught by a number of professionals, including a doctor, a specialist in diet-related metabolic disorders (diabetes, obesity, cardiovascular diseases, etc. 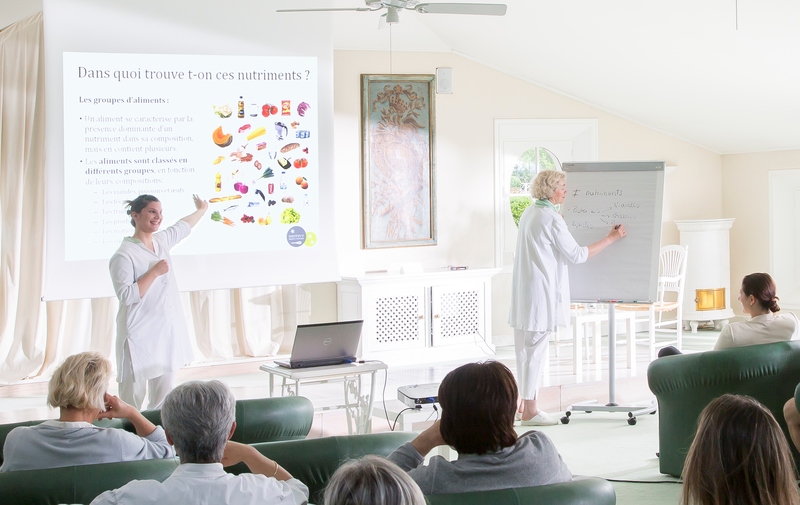 ), and dieticians based at Les Prés d’Eugénie. Cécile Guionnet is Head of Eugénie-les-Bains’ spa Nutrition & Dietetics Service, where she has worked since 1991. Coordinator of Therapeutic Educational Programs, she has been a teacher at the Institut Michel Guérard® since its inauguration in 2013. She teaches the components of dietary balance, both quantitative and qualitative, as well as the basics of nutrition, the composition of foods and dietary recommendations. Elodie Birou has worked at Les Prés d’Eugénie since 2009. Alongside Cécile Guionnet, she liaises with the kitchens of the Michelin-starred restaurant and assists Eugénie-les-Bains’ spa guests, through individual consultations or cooking workshops. Also trained in Therapeutic Patient Education, she has been involved in the program of the Institut Michel Guérard® since its opening.